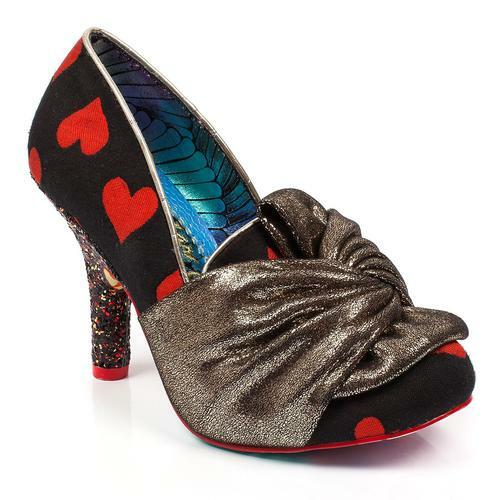 Dramatic retro 60s inspired Orbit shoes by Joe Browns Couture. Welcome to the new Joe Browns Couture range of shoes and boots! Drawing on vintage inspiration Joe Browns have created a new range of couture footwear and bags just in time for party season! Orbit Joe Browns Couture shoes featuring a rainbow iridescent retro 60s paisley print to a black faux suede upper, creating a truly unique effect. Two fixed black velvet bows to front with open toe. Zip fasten on the inside. 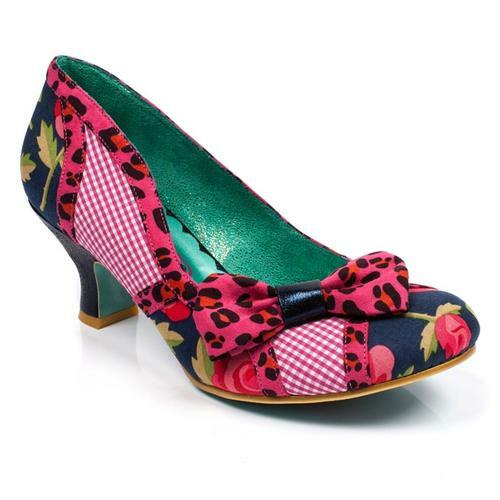 Perfect attention grabbing retro inspired shoes by Joe Browns Couture. 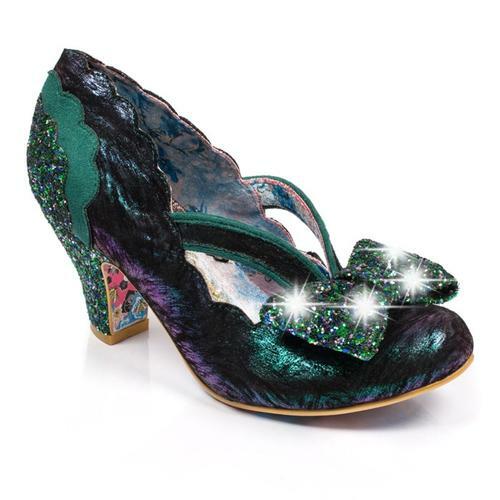 - Joe Browns Couture Orbit shoes. 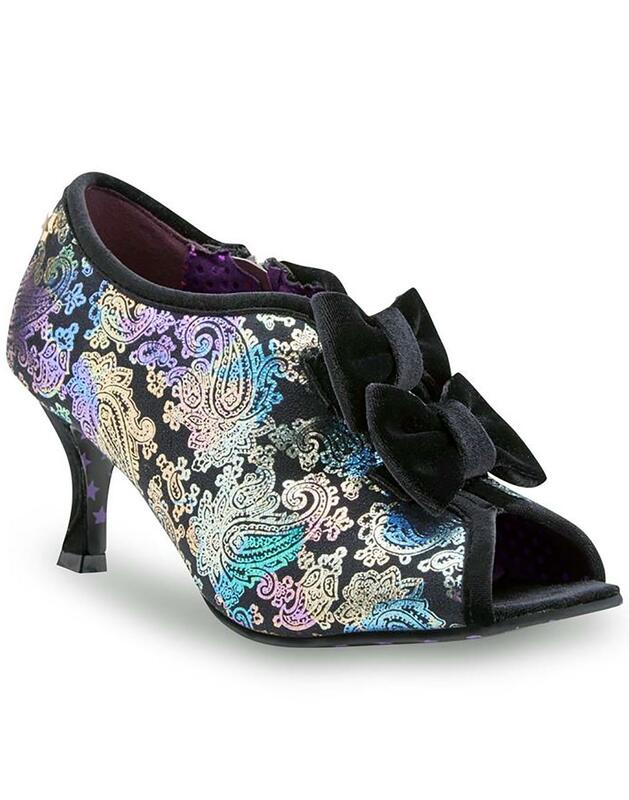 - Black faux suede upper with iridescent rainbow effect paisley print. - Double black velvet bow feature to front. - Zip fasten on inside. - Purple polka dot lining. - Black sole with purple stars print. - Heel height: 7cm approx. Composition: Fabric upper, fabric lined, manmade sole.